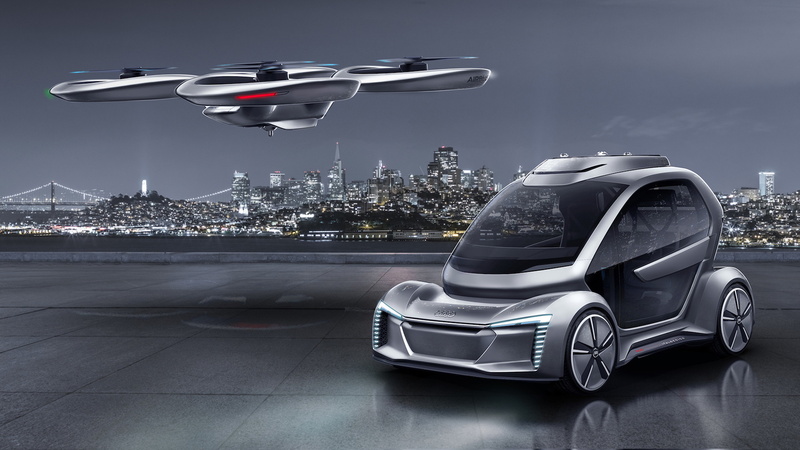 First Porsche expressed interest in a flying taxi, and now Audi has partnered with Airbus and Italdesign to bring a self-driving car with flying drone capabilities to life. 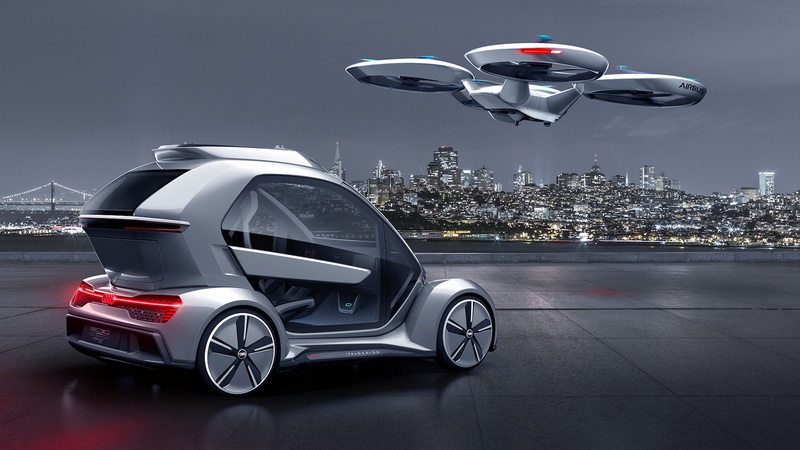 Together, the companies presented the Pop.Up Next concept at the 2018 Geneva International Motor Show this week, an evolution of the Pop.Up concept unveiled by Airbus and Italdesign one year ago. 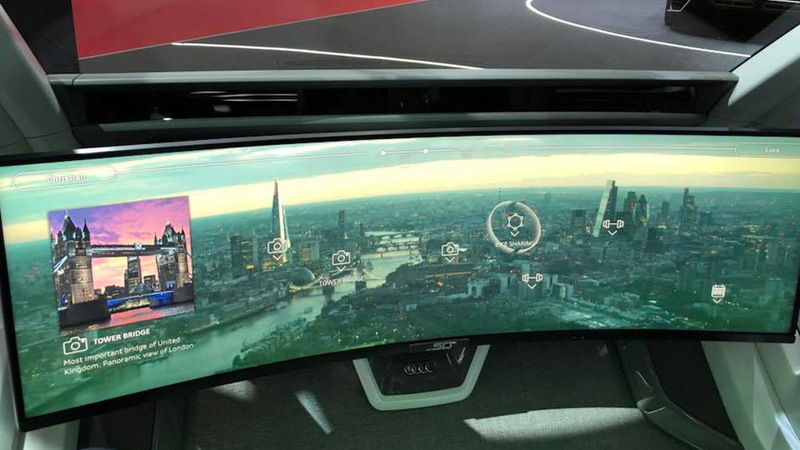 The latest version of the concept adds self-driving capability on the ground using technology Audi is developing for its own self-driving cars of the future. Audi is also the parent of Italdesign within the Volkswagen Group. The Pop.Up Next is powered by electricity and on the ground can travel approximately 31 miles on a full charge. 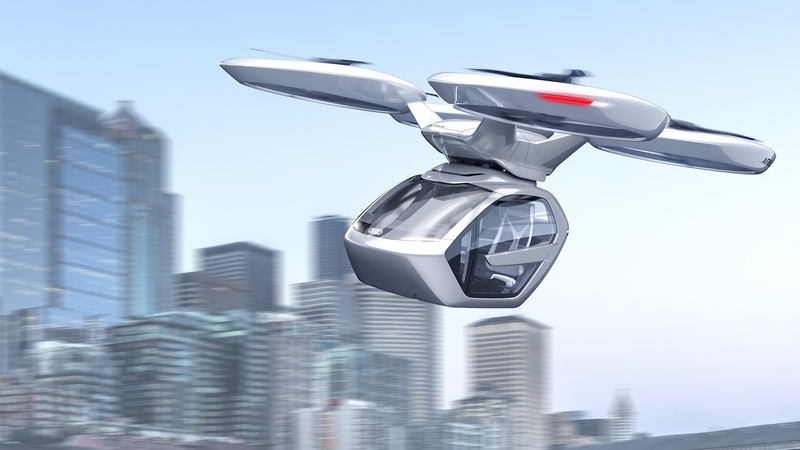 When it comes time to fly, the Pop.Up Next is designed to dock with a flight module being developed by Airbus. In the air, it's said to be capable of traveling 81 miles on a full charge. The project's backers have brought on numerous entities to help define the scope to one day make urban road and air transportation feasible. The list of entities involved include various municipalities, urban planners, and even sociologists. In parallel, Audi, Airbus and Italdesign continue to refine the design, making it lighter and more efficient. The biggest challenge is the docking system for the car and drone capability. 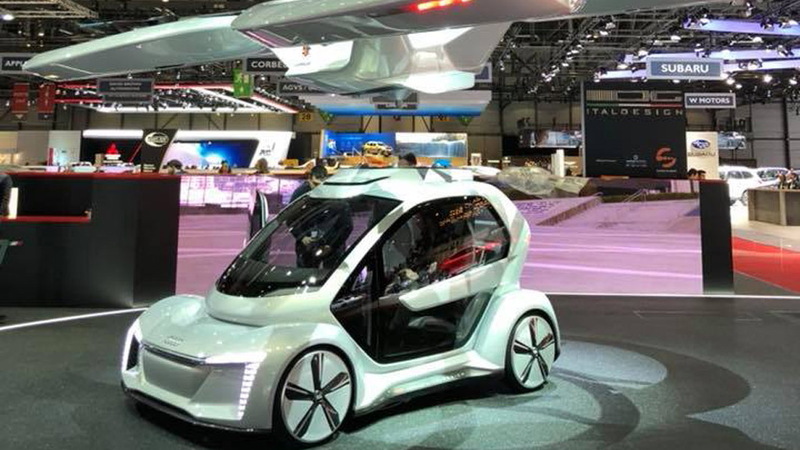 Car and flight modules require very different operating and safety systems, and if the concept is ever to take off, it needs to operate in both transportation methods seamlessly. No word yet on when it might be ready for production.